Global reinsurance majors, such as Swiss Re, Munich Re and SCOR, have firmed up plans to apply for a composite licence to carry on reinsurance business through a branch office in India. Last week, the Insurance Regulatory and Development Authority of India (IRDAI) released final regulations for registration and operation of branch offices by foreign re-insurers. Currently, all global re-insurers have representative offices in India and operate from overseas while the Indian market has only one domestic re-insurer, General Insurance Corporation (GIC Re). Kalpana Sampat, Principal Officer and Managing Director of Swiss Re, said the Indian direct insurance market has seen very good growth and the company plans to apply for the licence shortly to operate in a full-fledged manner in the domestic market. Hitesh Kotak, Chief Representative for India at Munich Re, said the company is in the process of preparing its application for branch office in accordance with the Indian regulator’s requirements. A representative of SCOR SE said the company intends to apply to the regulator for a composite licence. Ankur Nijhawan, Managing Director of Hannover Re, said his company is currently evaluating the regulations. In its guidelines aimed at making it attractive for global re-insurers to set up operations in India, IRDAI has put in place a level-playing field for foreign re-insurers, which have a minimum retention of 50 per cent vis-à-vis the domestic re-insurer GIC Re. Minimum retention is the minimum amount of business that will be ceded to the re-insurer on an automatic basis to avoid the expenses associated with small cessions. Swiss Re’s Sampat said the regulations allow an equal opportunity to the foreign re-insurer with an Indian branch, which in turn will help facilitate setting up a vibrant domestic reinsurance market. 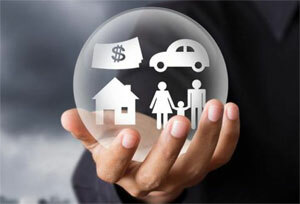 Industry experts also said that the presence of foreign re-insurers would help the Indian market developing technical expertise and underwriting skills. “We plan to achieve this through developing a strong local team which is closer to the clients and, at the same time equipped to explore our rich knowledge base and experience,” he added.